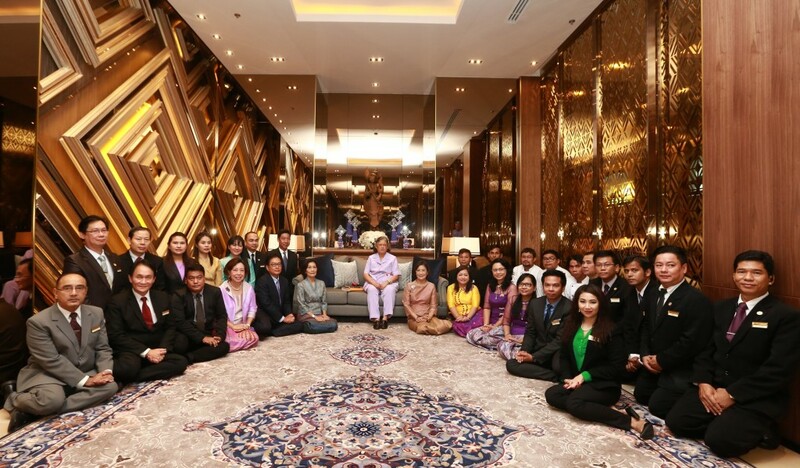 October 3-6, 2015, Myanmar: Her Royal Highness Princess Maha Chakri Sirindhorn was paying a 3-day official visit to the Republic of the Union of Myanmar at the invitation of His Excellency Dr. Sai Muak Kham, Vice President of the Republic of the Union of Myanmar and stayed at Chatrium Hotel Royal Lake Yangon. Her Royal Highness Princess Maha Chakri Sirindhorn was graciously welcomed to Chatrium Hotel Royal Lake Yangon by Mrs. Savitri Ramyarupa, Managing Director of Chatrium Hotels & Residences upon arrival. During this trip, Her Royal Highness visited the Dawei Special Economic Zone and various places of importance such as Shwedagon Pagoda, the National Archive and the National Museum. Moreover, Her Royal Highness observed activities of the No.15 Basic Education Primary School in Nay Pyi Taw, under the Thailand – Myanmar Friendship School Project. Activities were also observed at the No.7 Basic Education Middle School and No.6 Basic Education High School in Yangon, under the Collaborative Project on Children and Youth Development between the Republic of the Union of Myanmar and Thailand undertaken through the Royal Initiatives of Her Royal Highness. On the occasion of this visit, Her Royal Highness also met with His Excellency U Thein Sein, President of the Republic of the Union of Myanmar and His Excellency Dr. Sai Mauk Kham, Vice President of the Republic of the Union of Myanmar at Myanmar Presidential Palace. Next PostNext METTA EATERY & BAR OPEN ITS DOORS!